When you need dependable Rosenberg roofing company that you can trust to provide you quality and affordable roofing services, look no further than ASO Roofing & Renovations. 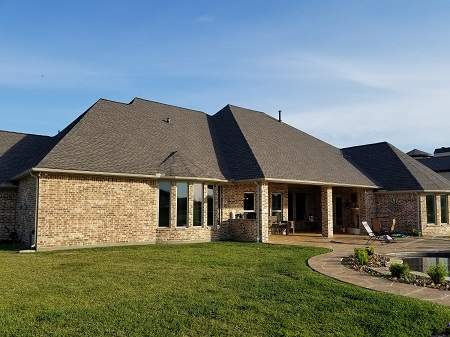 Over the years we have earned a reputation of a roofing contractors that delivers the highest quality roofing services to homeowners, investors, and business owners in the Rosenberg area. Unlike other roofing companies, we are small enough to prioritize quality over volume and have sufficient resources to complete roofing projects in a timely and efficient manner. Our customers know us for being prompt, honest, and committed to providing top of the line customer service. We are not your ordinary roofing company. ASO Roofing & Renovations is different from many Rosenberg roofing companies in a number of key ways. We’re locally owned and second generation roofers, we have a real passion for our craft. We are experts in roof repairs, replacement services, and we know roofing products inside and out thanks to our experience in the retail area of the roofing industry. We offer free roof estimates and insurance inspections. You will be pleasantly surprised with our service from the first time we knock on your door, until the last nail is cleaned up from your property with our magnetic sweepers. We offer a seven year “real” labor warranty, and we enhance our product by offering limited lifetime warranties on our materials. Our roofing contractors in Richmond TX hold certifications from GAF & CertainTeed. Besides quality work, we also emphasize aesthetics. We will make sure your home has great curb appeal by providing you color options and colored accessories. When you need Rosenberg roofing contractors for roof repairs, roof replacement, or any other roof service, look no further than ASO Roofing & Renovations. Our very competitive prices, customer service, and our outstanding work provide customers with an easy and pleasant roofing experience. Call us, text us, or email us today to schedule your free evaluation. We look forward to serving your needs and building a relationship! ASO Roofing & Renovations is a Sugar Land roofing company serving the greater Houston area. ASO is dedicated to helping property owners in the Houston area find the best roof solutions for their needs.